What it looks like when an octopus decides to steal your camera. 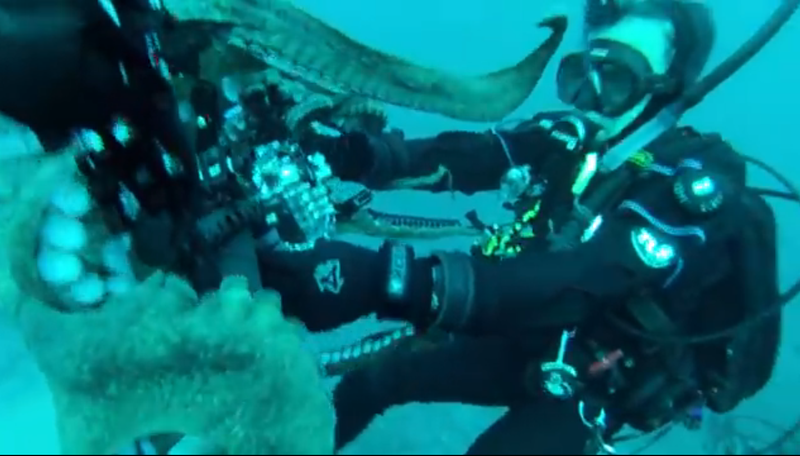 When an octopus decided that deep sea diver David Malvestuto's camera would be better off in his own eight arms, the resulting tug-of-war was pretty epic. Things really got good, though, when Malvestuto started taking pictures during the struggle.